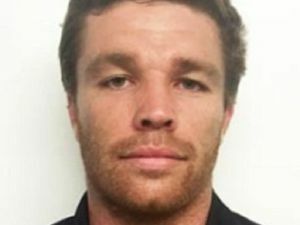 UPDATE 12.30PM: Messages of support for injured Sunshine Coast Falcons player James Ackerman are streaming in as news of his critical injury spreads through the rugby league community. Hundreds of well-wishers have liked and left comments on a Facebook page Support for Ackers #8. "James you come from a family of fighters. You are a survivor. All our thoughts are with you," Amanda Morley posted. Fellow poster Sue Darney sent love and hugs to the 25-year-old. "You are surrounded by love that will see you through this," she said. Many of Mr Ackerman's family and team-mates as well as Sunshine Coast Falcons staff have travelled to Brisbane to be with him at Royal Brisbane and Women's Hospital. UPDATE 8.20AM: Thoughts and prayers are this morning with injured Sunshine Coast Falcons footballer James Ackerman. A Royal Brisbane and Women's Hospital spokeswoman said the 25-year-old this morning remained in a critical condition. The young father was seriously injured during his team's match against Norths at Nundah. EARLIER: SUNSHINE Coast Falcons forward James Ackerman was taken to hospital late yesterday after sustaining a serious injury. The incident occurred just five minutes into the team's round nine Intrust Super Cup match against Norths at Nundah and the game was abandoned. Sunshine Coast Falcons chairman Ashley Robinson said the club was shaken by the incident. "Right now I'm only concerned about James, his family, the staff and the players who were at the game," he said. "We're hoping and praying that James recovers. "We're waiting for an update from the medical staff at the Royal Brisbane Hospital." A former Mountain Creek State High student, the second-rower earned himself a Brisbane Broncos youth contract at the age of 18 while playing for the Redcliffe Dolphins. This year he decided to come back to the Sunshine Coast to help rebuild the Falcons and spend more time with his family. The 25-year-old was recruited by the side for his toughness and work ethic.